On field operations, the weapons and equipment employed by Military Police are very different from that worn on base or town patrol duty in Canada. Normally the standard issue load carrying equipment is worn. 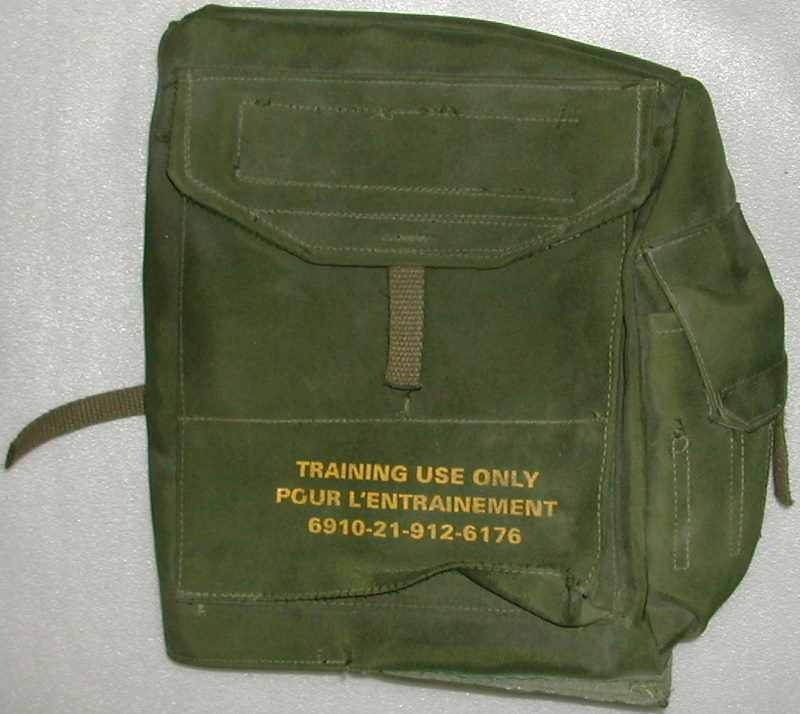 Between 1968 and about 1985 the 1964 Pattern Web Equipment was worn. 1964 Pattern Web was a failure in both concept and execution and was thoroughly despised by the troops. Beginning in the mid 1970s several patterns of web equipment were developed and issued for user trials. These trials resulted in the adoption of Canadian 1982 Pattern Webbing (WE'82). 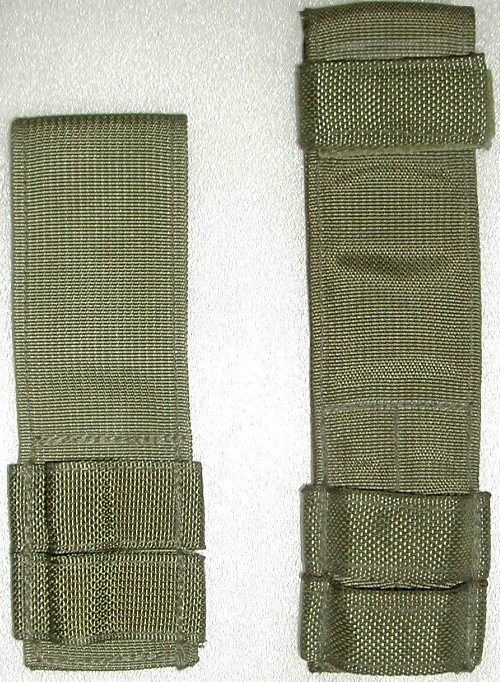 WE'82 was a modular system based on a waistbelt (Utility Belt) supported by a padded shoulder Yoke attached by Hook-Straps. 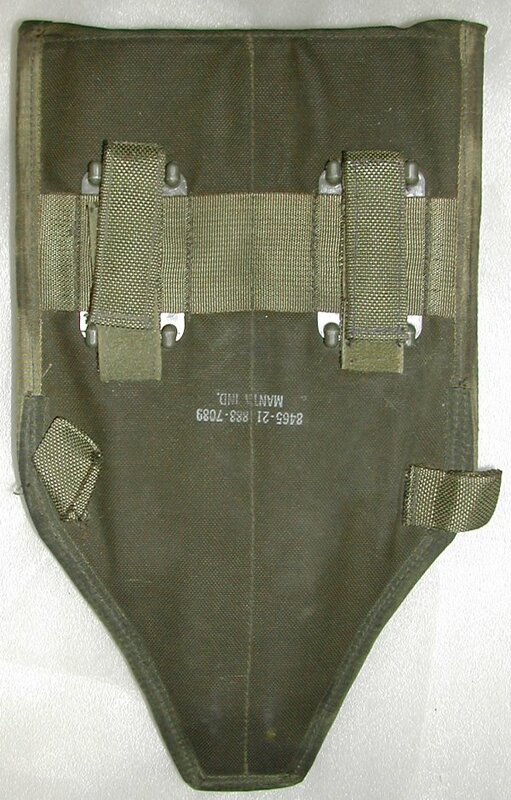 An assortment of pouches and equipment carriers could be attached to the Utility Belt by means of plastic hooks on the equipment and metal grommets on the belt. 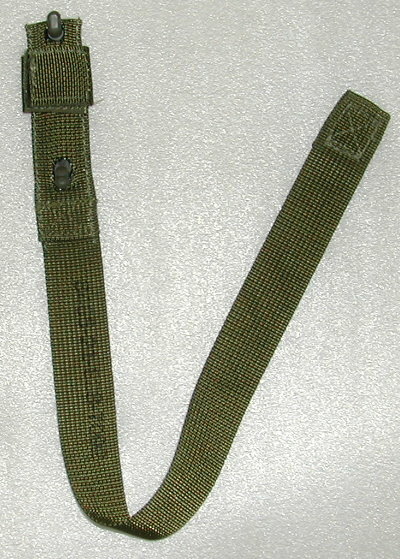 The type and location of equipment worn on the belt depended on the soldier's combat role, and to a lesser degree, personal preference. Unlike previous patterns of web equipment which were worn around the middle of the waist, WE'82 was worn with the belt secured around the fleshy part of the hips. When WE'82 was adopted, the Canadian Forces were equipped with the FN C1A1 rifle, FN C2 light machinegun and the C1 submachinegun, therefore magazine carriers and other associated items for these weapons were adopted. In the mid 1980s these weapons were replaced by the C7 and C8 rifles and the C9 light machinegun, and new magazine carriers were produced. An improved pattern of bayonet frog was also adopted. WE'82 was a moderate success and it was generally considered to be a major improvement on the 1964 Pattern Web set. The only real technical fault with WE'82 was that the small plastic hooks tended to snap after some use or in extreme cold and the metal grommets were easily deformed. 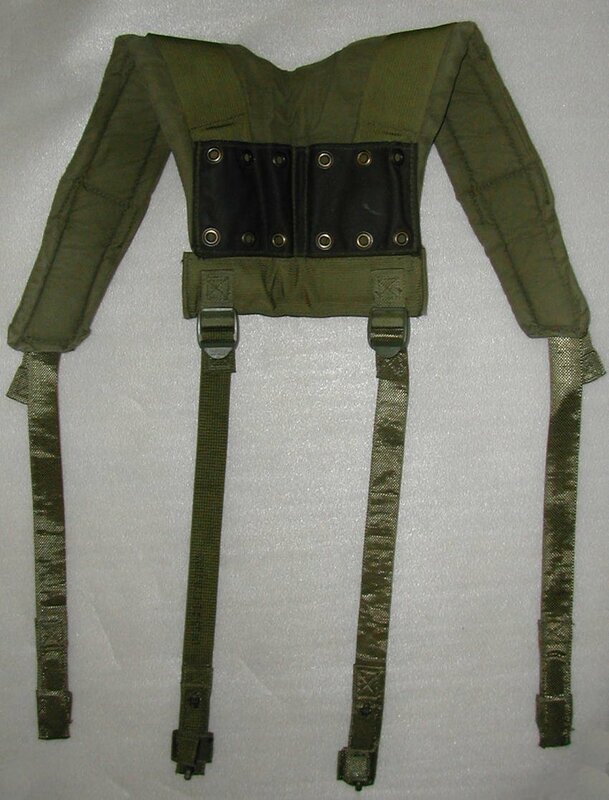 Beginning in the early 1990s the Canadian Army conducted trials of a Load Bearing Vest. 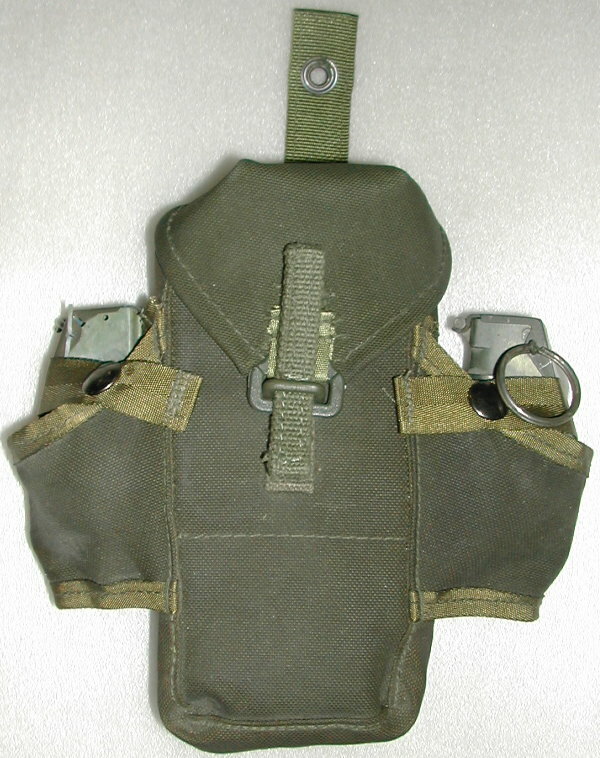 It was not particularly well received by soldiers and was generally considered to be A Bad Thing, but was put into production and was made up until around 2002 when it was in the process of being replaced by new patterns of Tactical Vests. 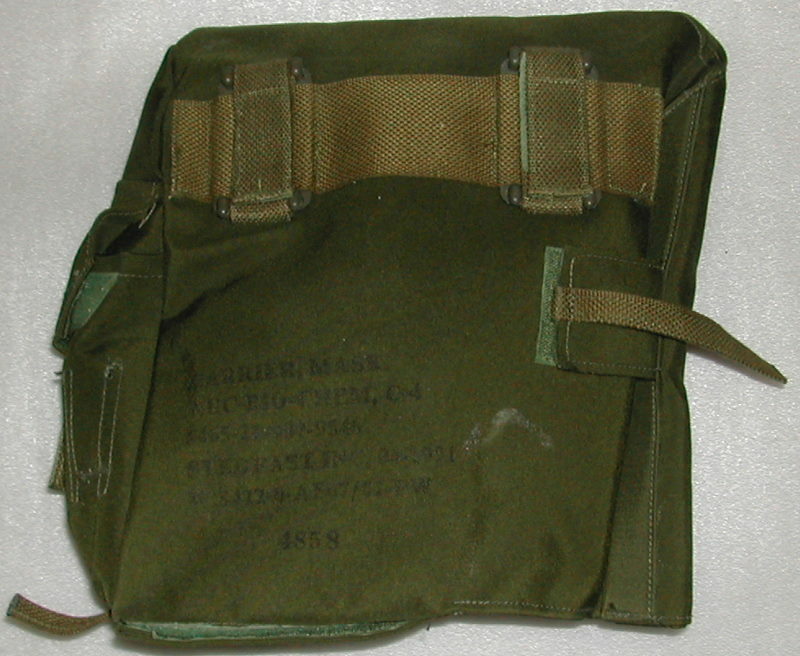 WE'82 was used by many soldiers on early rotations in Afghanistan in preference to the Tactical and Load Bearing Vests. As of 2009, WE'82 was still in limited service in the Canadian army. 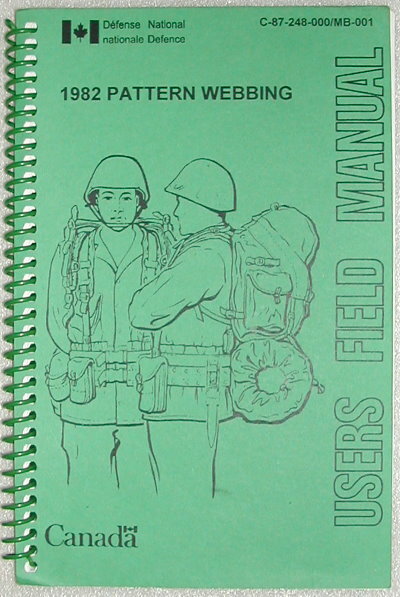 A Users Field Manual was first issued with each set of equipment upon it's adoption in 1983. It was updated in 1992. 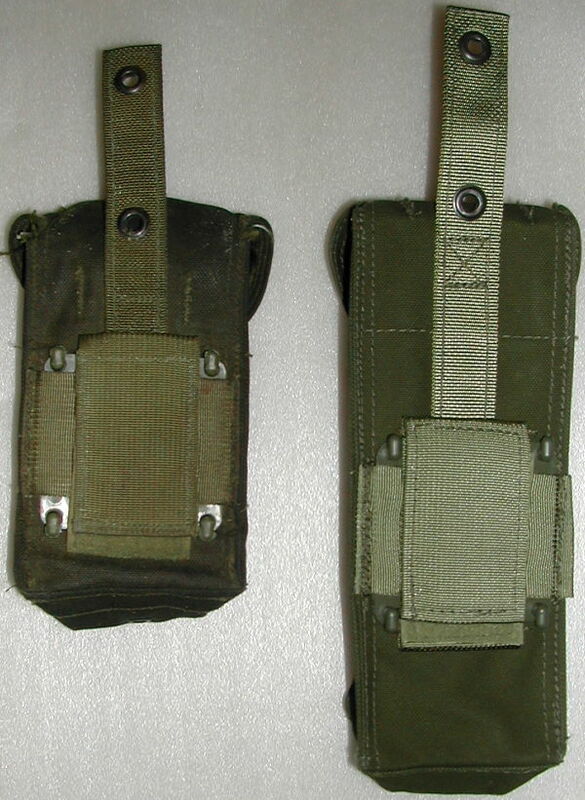 The 1982 Pattern Equipment was based on three sets: FIGHTING ORDER, BATTLE ORDER, and MARCHING ORDER. Fighting Order was the basic set and consisted of the personal equipment, weapons and ammunition carried by a soldier immediately ready for combat. 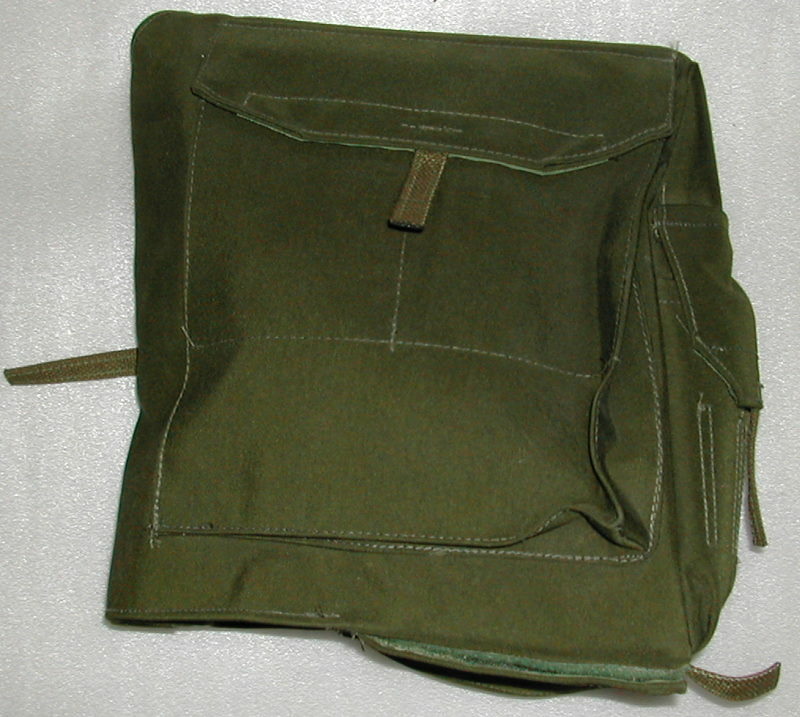 Depending on Unit Standing Orders and the rank/position of the soldier, a Utility Pouch, Compass Carrier, Pistol Holster or an Entrenching Tool Carrier might be added. Additional items of equipment not associated with WE'82 were included such as steel helmet, reflective traffic control cuffs, reflective vests, flashlights and body armor. 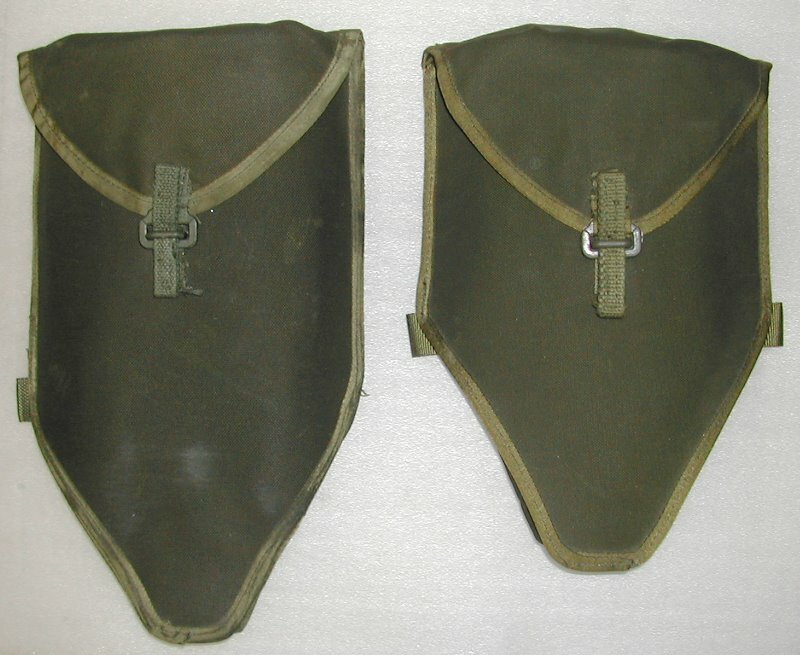 A shell dressing was often taped to the left front of the yoke and another was worn under the helmet camouflage cover. Battle Order consisted of Fighting Order and the ammunition, equipment and rations required to support a soldier in combat for a period not exceeding 72 hours. For practical purposes this consisted of the addition of the Small Field Pack. Marching Order consisted of Battle Order and those items of equipment required to support a soldier in the combat zone for an indefinite period of time. For practical purposes this consisted of the addition of the Large Field Pack and it's contents. 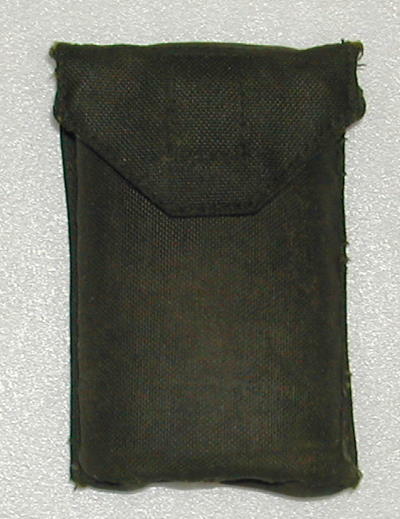 View of the back of the belt. 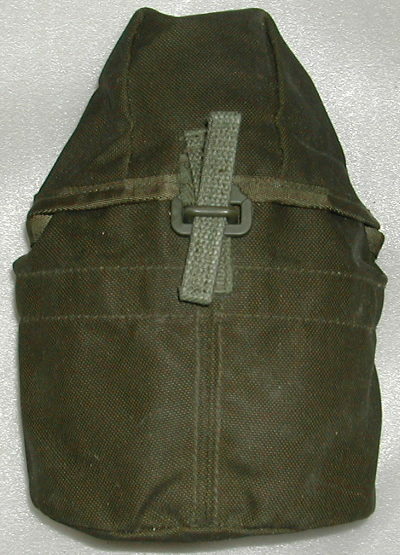 Four adjustable hook-straps are attached to buckles on the Yoke. The hooks and velcro loop secure the straps to the equipment. 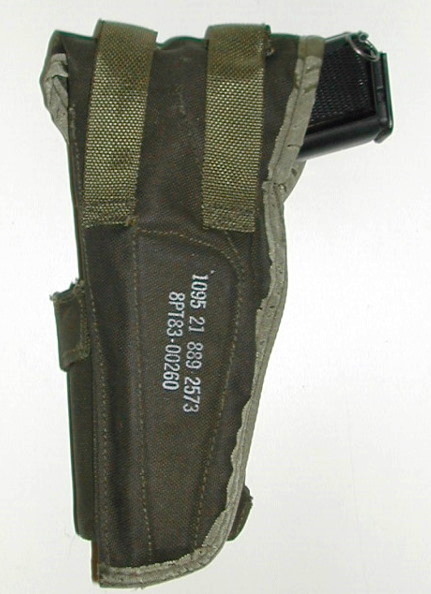 The padded shoulder Yoke with the four adjustable hook-straps attached. 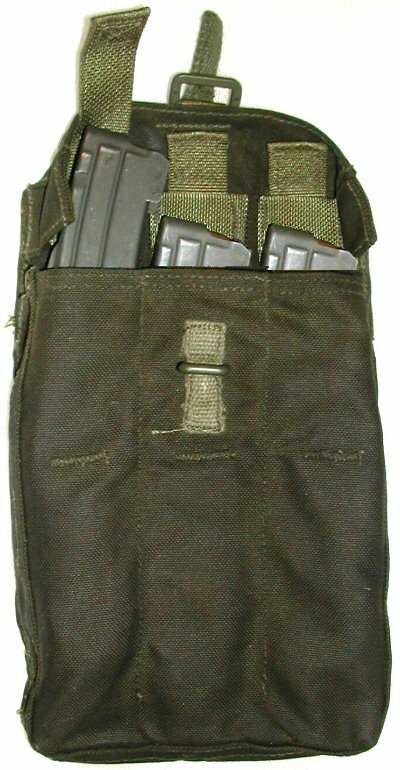 The magazine pouch for 2 20 round FNC1 magazines. 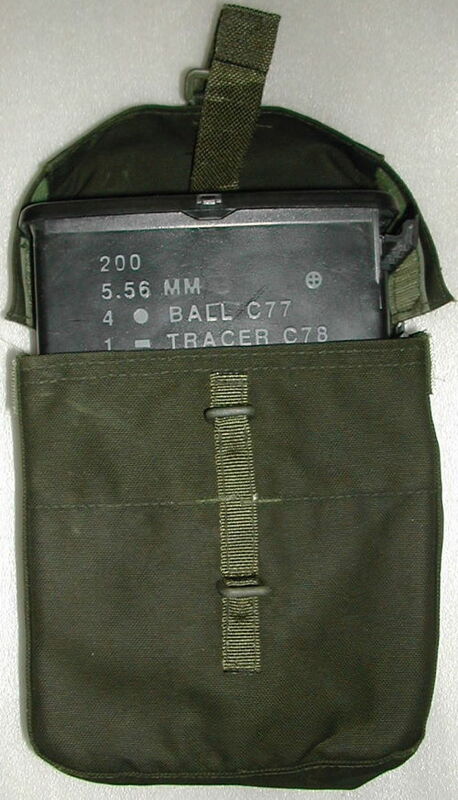 The FN C2 magazine pouch held two 30 round magazines. 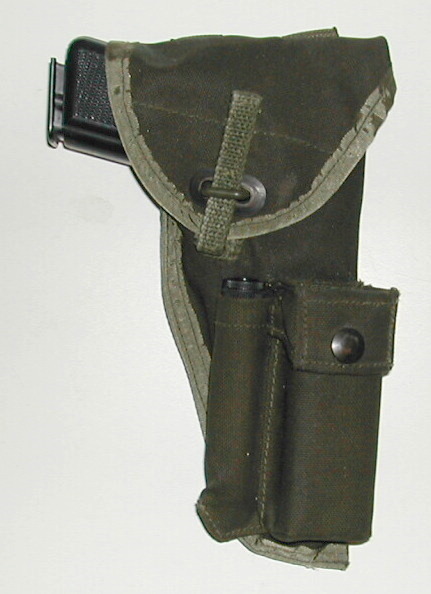 Note the length compared with the 20 round FN C1 magazine pouch on the left. 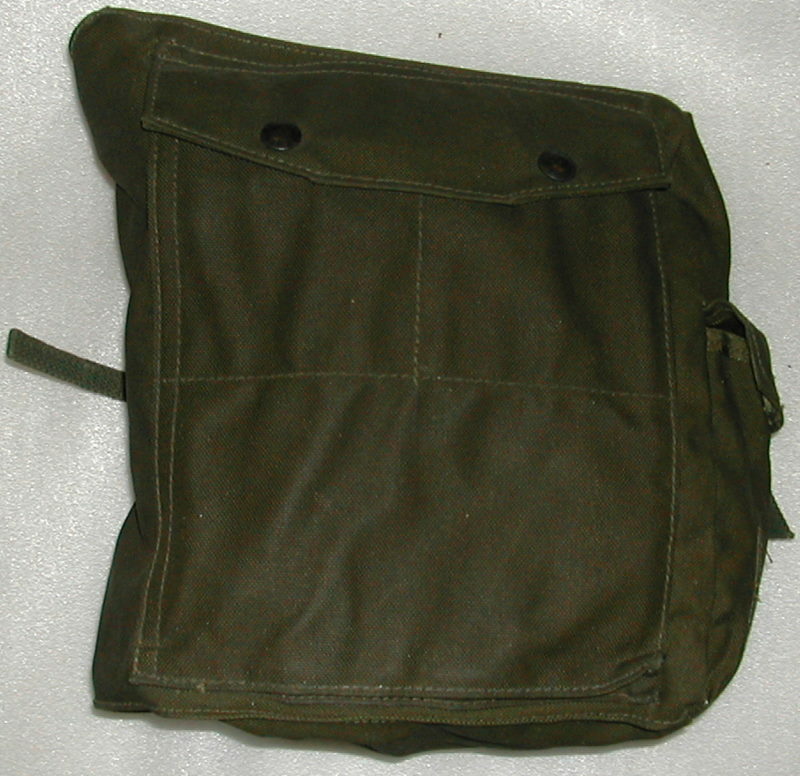 The magazine pouch for three 30 round SMG C1 magazines. 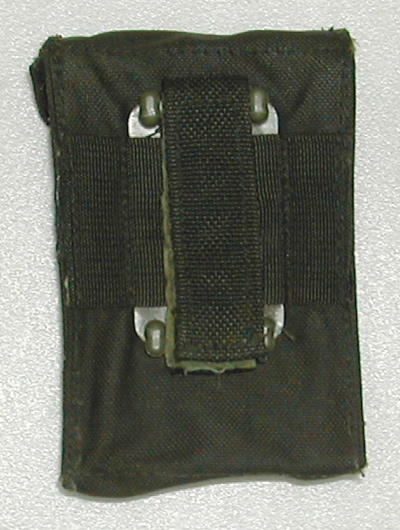 The SMG C1 mag pouch open. 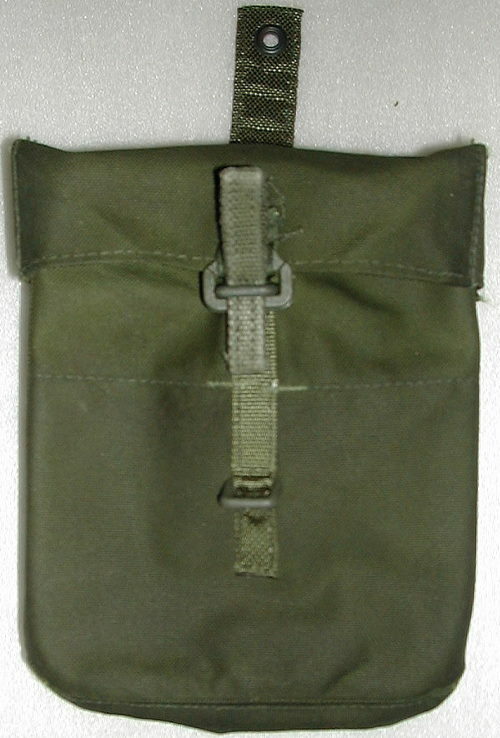 C7 rifle magazine pouch for two 30 round magazines. The illustrated magazines are the first issue, made of plastic. These were found to be easily damaged and have since been replaced with metal magazines. 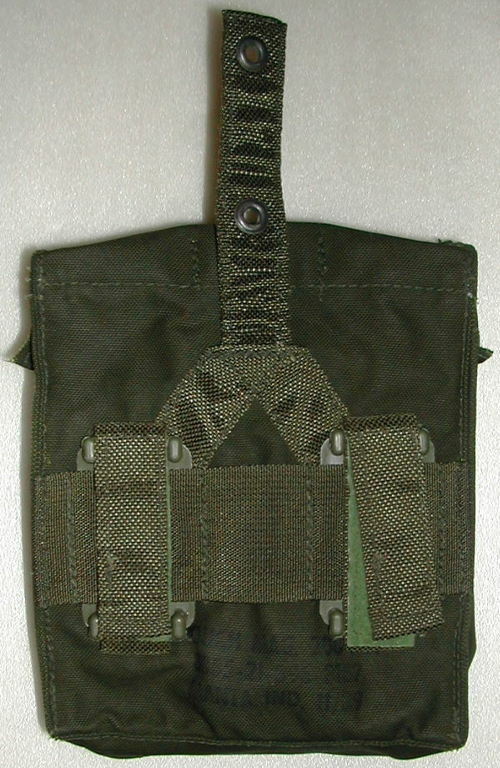 C7 rifle magazine pouch for 2 30 round magazines and 2 grenades. 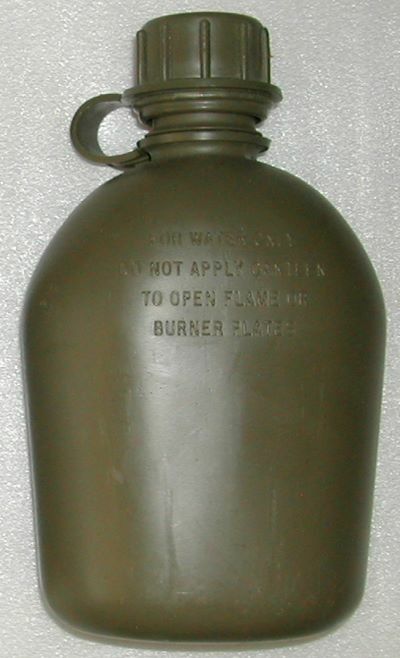 The first pattern of canteen issued with WE'82 was the same one issued with WE'64. 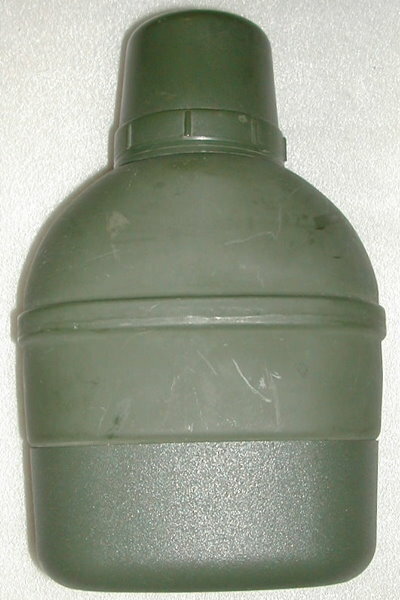 A new pattern of thermos canteen was issued beginning in the early 1990s. 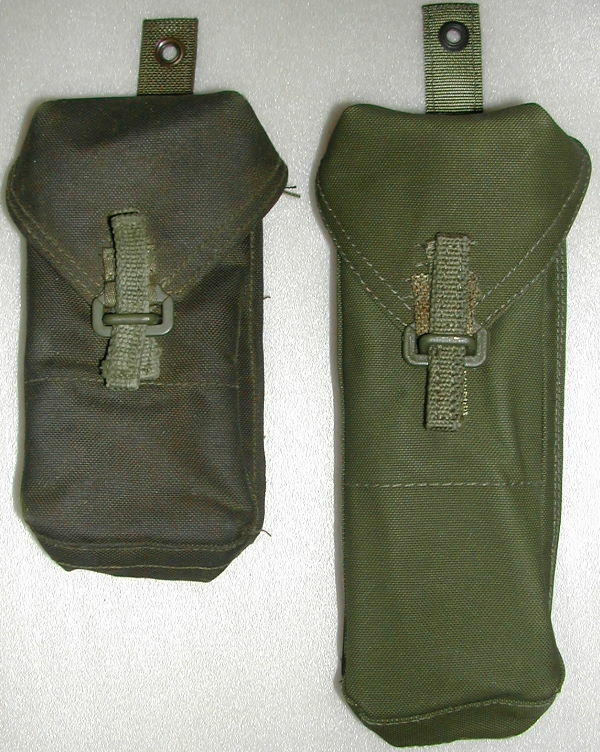 The Scabbard Bayonet Holder for the C1 bayonet (left) and the C7 bayonet (right). The C1 bayonet holder could also fit the C7 scabbard but it was found that the bayonet could easily fall out of the scabbard. The lengthened holder with a velcro securing loop was adopted to solve this problem. The FN C1 Bayonet Holder and C1 bayonet. Pistol holster for the 9mm Browning Hi-Power. 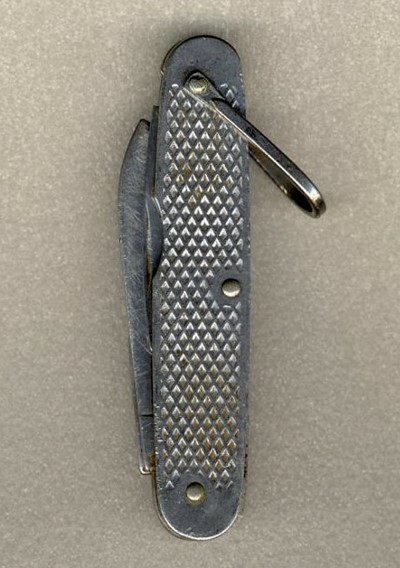 The C5 Knife was the Canadian designation for an American pattern, the Camillus MIL-K-818. American issue knives are marked with a prominent "US" on the body. Canadian knives lack the marking, however both were issued to Canadian soldiers. 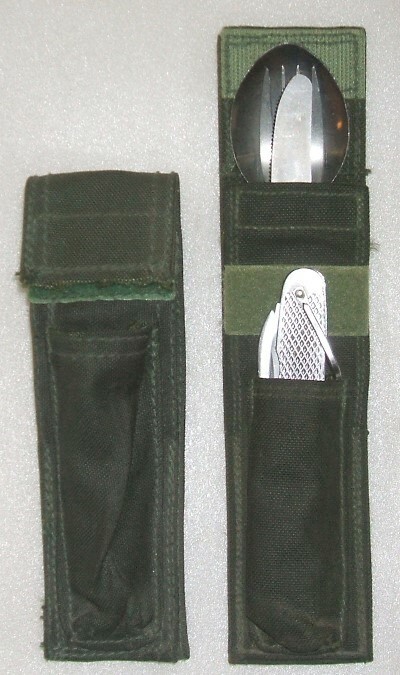 These were withdrawn in the mid 1990s and replaced with various Gerber Multitools. 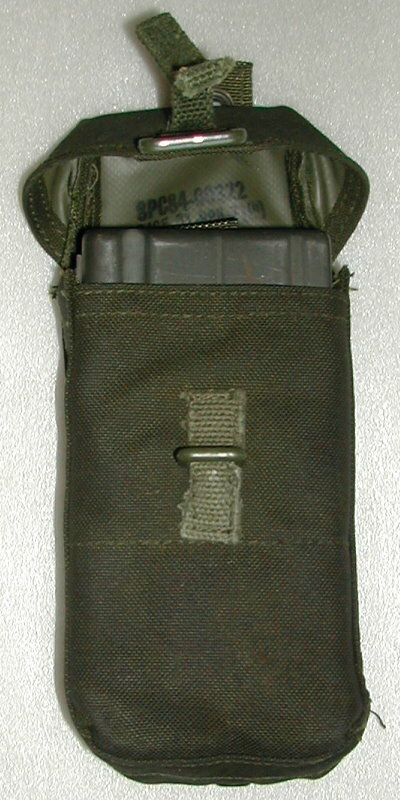 Carrier for the issue KFS and C5 knife. 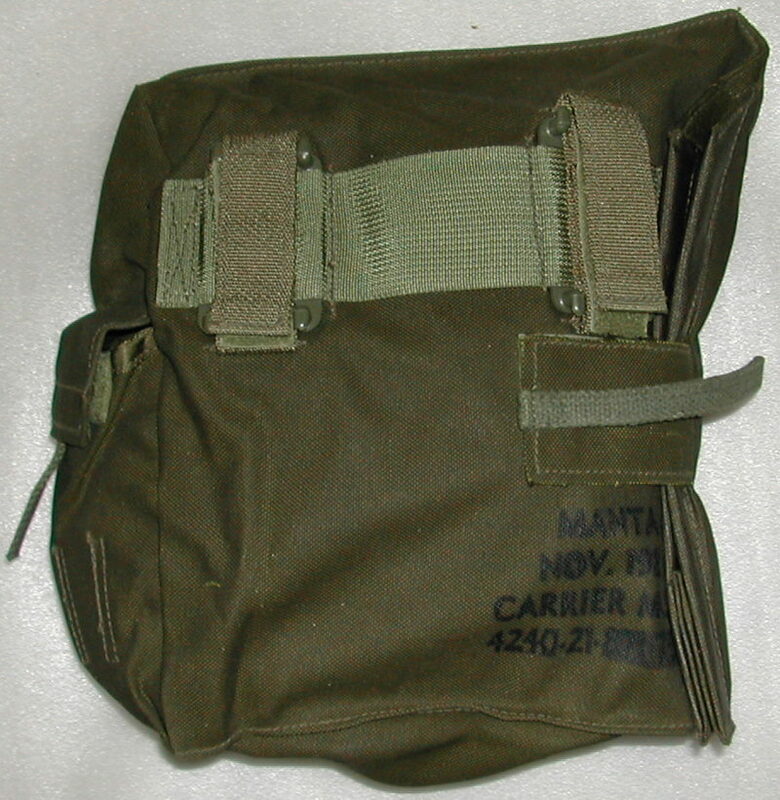 A large loop on the back allowed it to be worn on the web belt, it was often carried in the pack or mess tin carrier. Several minor variations exist. The Combat Shovel or entrenching tool was an American pattern known as the "Tri Fold Shovel". 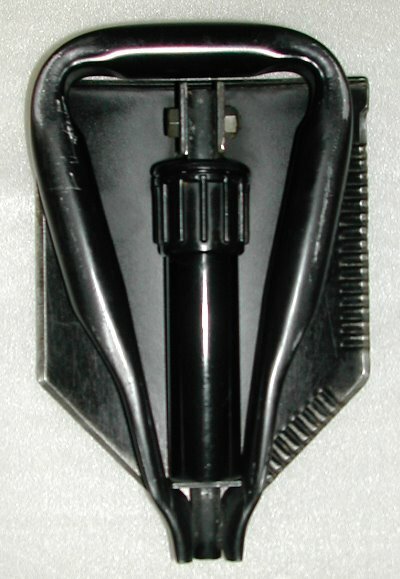 There were two versions issued to Canadians: a short version with a short blade and handle, and a longer version. Each version had it's own carrier. 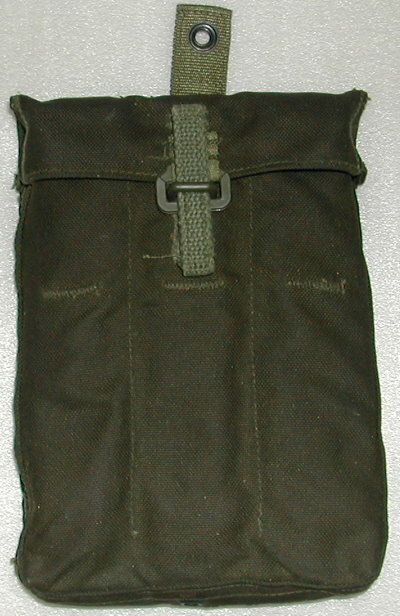 Back of the long version of the Entrenching tool carrier showing the manufacturer's marks. Made by MANTA Industries of Winnipeg. Short version of the Combat Shovel folded for stowage. 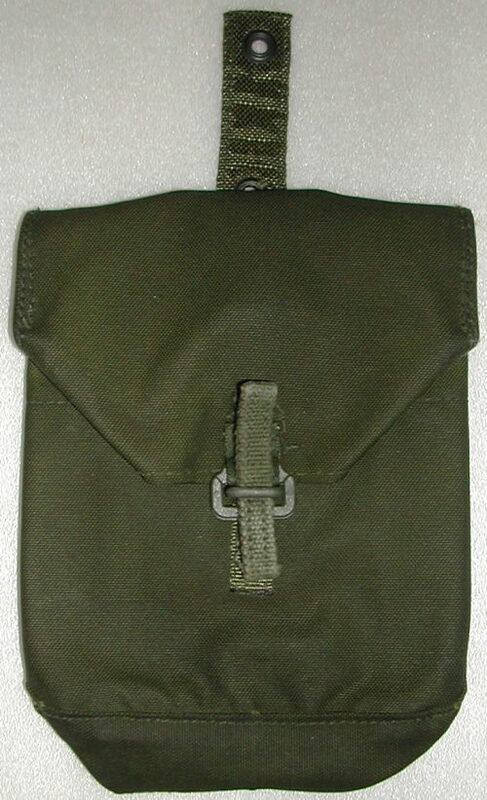 The WE'82 Compass Pouch was identical to the WE'64 Compass Pouch with the exception of the method of fastening it to the Utility Belt. This website is entirely the responsibility of the author and does not reflect the official opinion or policy of the Department of National Defence, the Canadian Forces Military Police Branch or any other Canadian Government agency.